Tic Tac–I feel like I’ve known and loved this brand since forever. Before I even learned what mints were, I was already shaking Tic Tac at home, thinking it was some toy. I’m sure you’re all familiar with that signature Tic Tac rattle I’m talking about, not to mention that flip top flap sound it makes when you open its container to give way to those small, oval pellets. YUMMMM! Needless to say, I’m a Tic Tac fan–always have been and always will be. So when the opportunity to work with Tic Tac came, I quickly jumped on my tippy toes and said yes. The project is all about unleashing one’s creativity. This is something I truly champion. You see I belong to an industry that’s inclined to the arts so I’m blessed to be able to show my creativity through my work. But for those of you who aren’t, this doesn’t mean you can’t get creative. There are plenty of ways to express yourselves and show the world just how creative you are. And this is what Tic Tac’s new Design Your Pack campaign is all about. 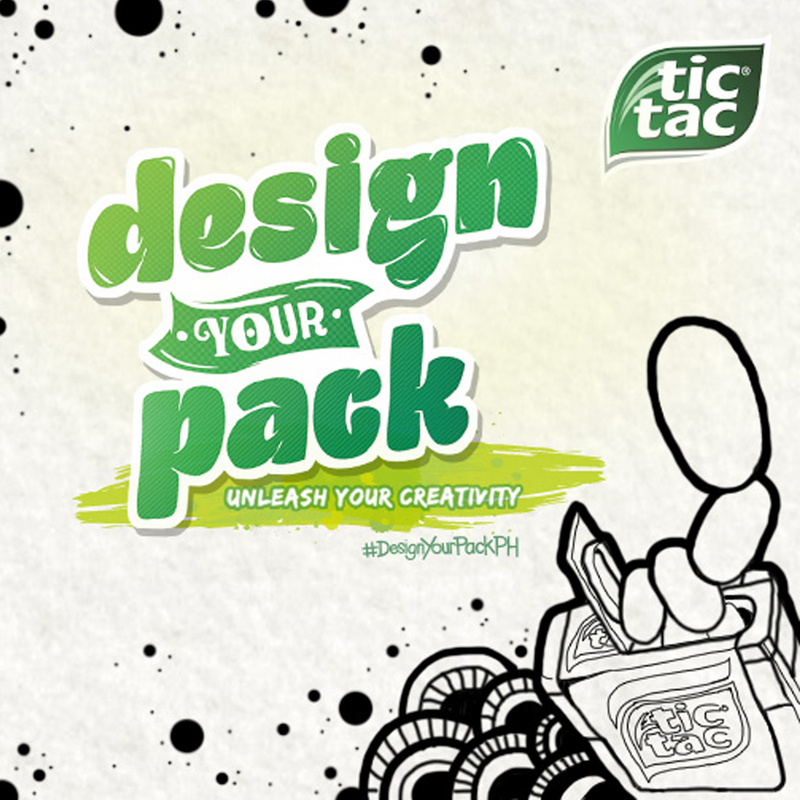 Tic Tac invites all of you to unleash your creativity to the world with your own version of the Tic Tac pack. Be a Tic Tac pack designer just like me and start designing your own for a chance to win a trip for 2 to Melbourne, Australia, an iPad Mini or a Diana F+ Camera. Awesome prizes, right? Aside from these, Tic Tac will also choose weekly winners who’ll receive GCs and get their work featured on Tic Tac’s Facebook page. Designing your own Tic Tac pack is easy. Trust me! I’m no graphic designer and even I was able to do it. Take your ideas into the visual smorgasbord that is your entry by using the Tic Tac design app as your canvas where you can play around with different preset elements, or by downloading the template and going freestyle. I did the latter and the design above is what I came up with. Curious as to I designed my Tic Tac pack this way? Watch my video below! Hopefully, you’ll get a little inspired by my design and my story as a designer and blogger as well. The Tic Tac Design Your Pack contest runs until March 16, 2015. (Submission period is only until March 1 and voting period is from March 3-16, 2015.) Good luck guys! Happy designing! I miss your voice so much! Watching your video makes me reminisce the time when i was able to see you and hear you. it’s really true even to me, I can’t have a tic-tac and not shake it. Lol! Magkkita pa tau ulit bcz I want to be a CamilleCo bride someday. Tama! :) Good luck Katrin! I watched the video first, then while I am reading your blog, rush of ideas has just come popping out of my mind. I normally tell everyone that I am a retired artist since I got into medicine. But really, creativity surges inside me right now. I just got a little disappointed to know the deadline. But who cares, I still have a day. Wish me luck! Yes I do! :) Thanks Ren! I always bring tictac. It’s like a part of my kikay kit. Haha! Anyway wanna try this one! Thanks for this info! Wow i totally love your design! it’s so unique and beautiful. i’ll try my luck on this too :) oh and btw, where are supposed to send our entries? Hi camille, we would like to send you some of our items And we would appreciate if youll blog about it. May we know how? This is really cute and creative. Such a girly design! :) I’ll have mine soonest! I knooooow! I totally get what you mean. :) Good luck Kay! But is it only valid in PH? Hi camille, we would like to send you some goodies and we would appreciate if you’ll blog about it. May we know how? The video <3 <3 <3 Your design is so beautiful! and the lace case!!! I want to have it! :) Just tell me if you'll sell atleast one of those huhu I badly want it since I always have tictac with me! hihihi and just like you was also the annoying kid that shakes the tictac to make cool sounds hahaha! too bad I'm really poor with creativity lol, I tried my best in drawing/designing in the past years and I cant do it haha! 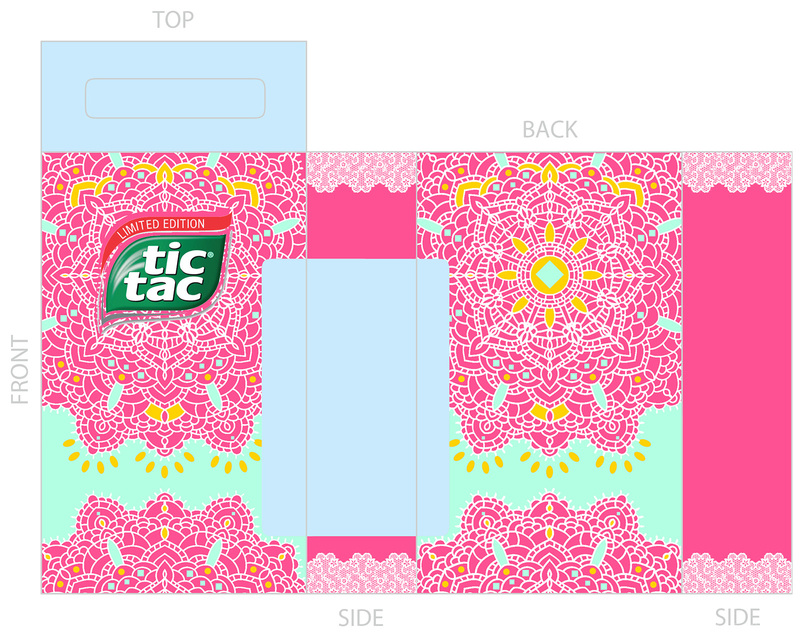 But it's really cool that I could do my OWN design of my tictac haha!